that has changed the risk profile of your business. advice you need to make informed decisions for you and your family. quality of service, strong capital base and passionate employees. which will determine their future. New Age Insurance Brokers LLC has over 500 man years of cumulative qualified professional experience in the United Arab Emirates. We pride ourselves on our in-depth customer knowledge, quality of service, ease of doing business, strong capital base and wealth of talented employees. 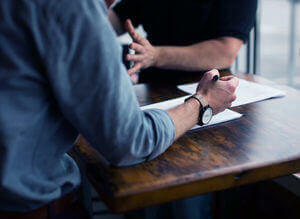 To be the trusted advisor in providing protection and investment solutions to our clients. To fulfil aspirations of all stakeholders: clients, employees, insurance companies and shareholders with integrity. 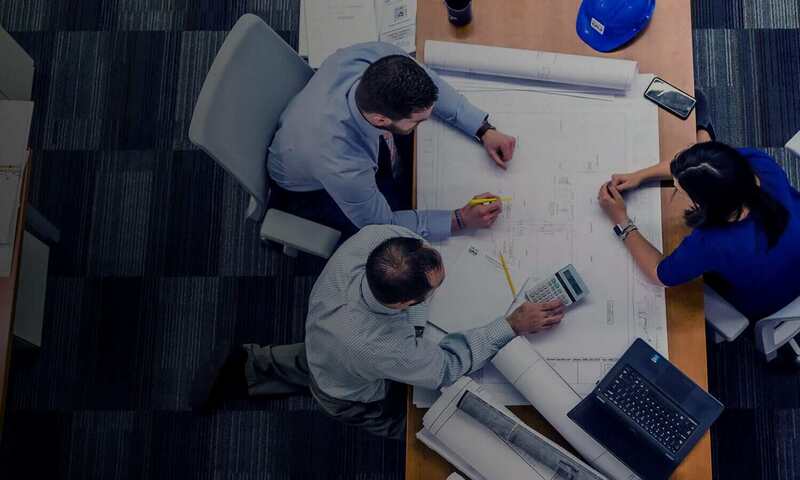 We represent more than 25 local and international Life and General Insurance companies and offer all types of insurance and investment solutions for individuals and corporate clients. Providing world class advice, requires a competent and compassionate team. Our advisors continually update their credentials and bring the weight of our experience, credibility and relationships with insurance companies to provide you with the best protection and savings solution. Founder & Managing Director, MDRT Life Member. FLMI. LL.B. 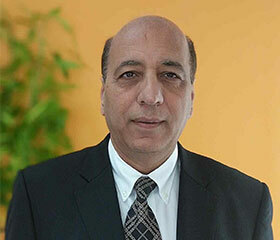 Ajit S Ailani has over 30 years of experience in the insurance industry in the U.A.E. – having worked for over 20 years with American Life Insurance Company (ALICO) before founding New Age Insurance Brokers in 2008. Member of the prestigious MDRT since 1996 and three times member of the elite Top Of The Table, Ajit has advised hundreds of individual and corporate clients on their protection needs. 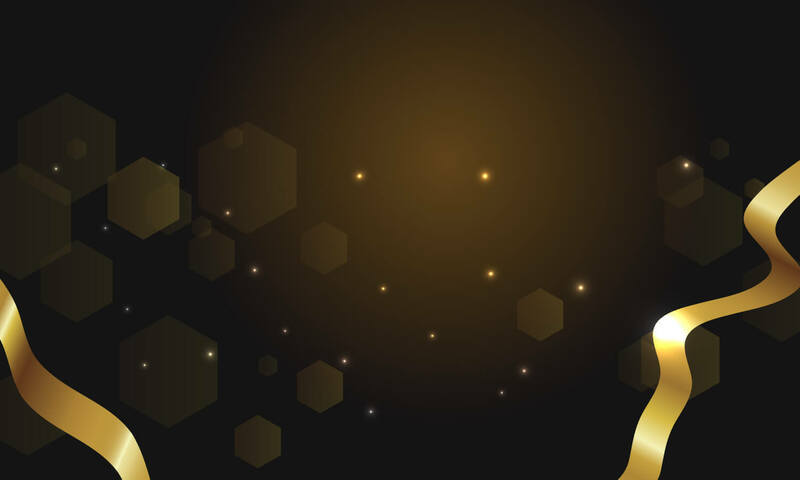 Ajit specializes in designing protection solutions for ultra-high net worth individuals allowing them the peace of mind to grow their business with more confidence. Ajit has been an advocate for financial independence, for breadwinners and their dependents and feels humbled that his advice has benefitted many of his clients in their most difficult times. He is leading a team of successful professionals who believe in giving top notch service to their clients. He aims to have an organisation that fulfils aspirations of all stakeholders – clients, employees, insurance companies and shareholders. 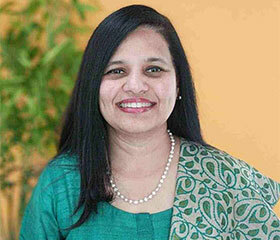 Dipika Ailani is engaged in strategic growth at New Age Insurance Brokers. She has over a decade’s experience in managing investments, risk and strategic growth in the Financial Services sector working in India, U.S.A and U.A.E. Her penchant for solving hard problems for her clients has been her underlying motivation as she moved across organizations which included a big four accounting firm, Ernst & Young; a microfinance institution, Swadhaar FinServe and the biggest private foundation, Bill & Melinda Gates Foundation. She earned her MBA from Yale University and is a London School of Economics Alum. Dipika loves reading books to herself and her son, enjoys a heated debate with friends over a glass of grapes and aims to retire on the beach! Savitha is a founder member of New Age Insurance Brokers with over 15 years of strong experience in the insurance sector. She is part of the elite group of insurance professionals who regularly qualify for the Million Dollar Round Table. Savitha is also a member of the Chartered Institute of Insurers (CII) and is working towards her CII Diploma. Savitha believes insurance is a loss minimization tool. Looking for comprehensive solutions to address the complex web of risks tickles her mind. 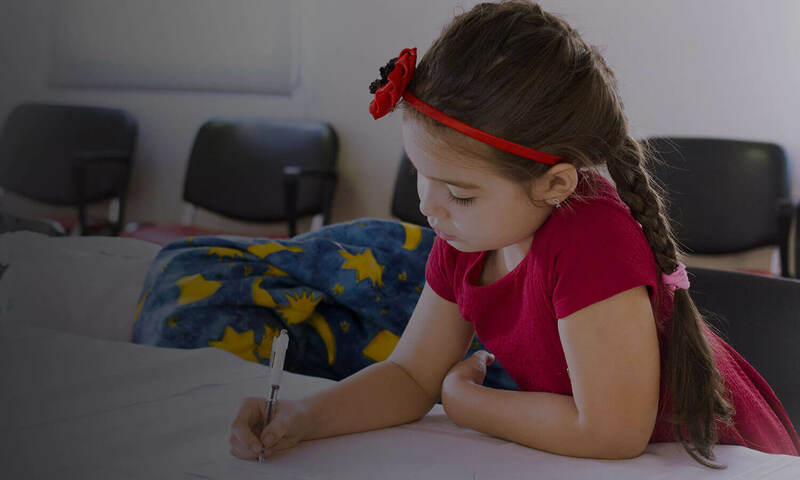 Savitha particularly focuses on Life and Critical illness solutions to secure families, Medical Insurance for individuals and corporate and other specialized lines such as Credit Insurance, Liability Covers like product liability and Indemnity Covers like Professional Indemnity Solutions. With clients hailing from over 21 countries, Savitha loves to meet individuals from different nationalities and help them manage their life and corporate risks effectively. Sibaram is the General Manager – Life Insurance, at New Age Insurance Brokers. He has over 28 years of experience. 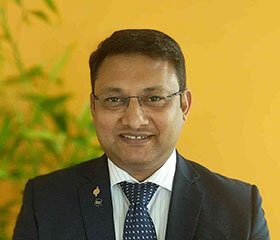 Sibaram started his journey in the insurance industry with Zurich life in 2005 as an authorized consultant. He was awarded the QuickStarter performer of the year, Rookie of the year for the MENA region and has been an MDRT member for 6 years consecutively. In his last role he was leading a team of 60 consultants and 10 managers at Gateway Insurance brokers as a Sales Director. Sibaram earned his MBA from Ashcroft International Business School in Cambridge. A strong believer in karma and a desire to transform the lives of people around him has been his driving force. Sijo has been in the financial services industry for 9 years and a Million Dollar Round Table (MDRT) Member since 2011. He was the proud Flag bearer of UAE at the MDRT annual Meeting in Toronto. 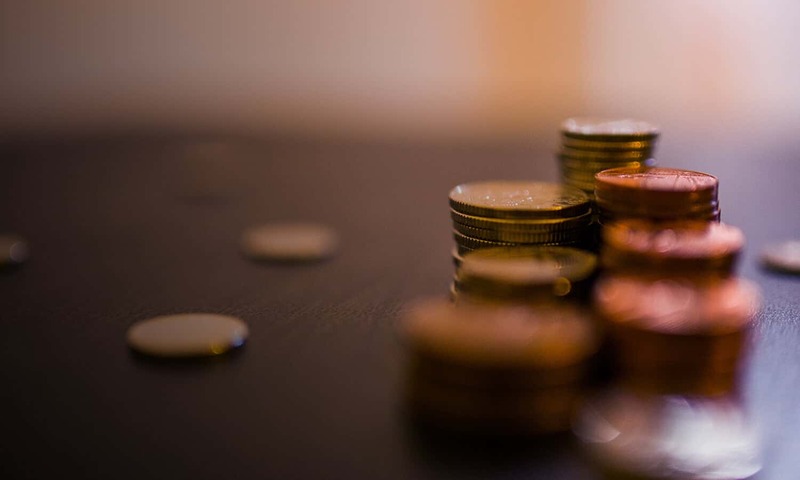 An expert in Critical Illness Insurance, he has been supporting clients to ensure that a loss in income will not have a serious impact on their lifestyle. Sijo also helps with university fees planning and retirement solutions. His Mantra is “Be the I am Glad I did that, instead of Oh I wish I had done that”. A Naval veteran, globe trotter & weekend chef, loves to spend time with family and his Labrador Simba. 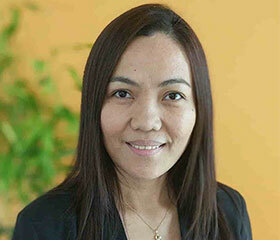 Imelda manages the Employee Benefits team at New Age Insurance Brokers. 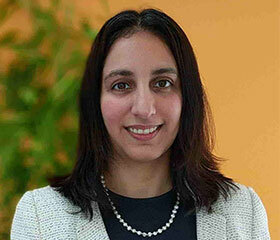 She has over 10 years of experience in the insurance broking industry in UAE. Imelda drives the vision of finding the perfect employee benefits solution for each client and providing world class service. Imelda enjoys spending time with friends and family and traveling to Asian countries. She enjoys making friends who enrich her knowledge and life experience. 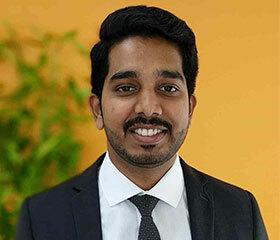 Nithin Nair has over 10 years of experience in U.A.E. A successful financial investor himself, Nithin has deep knowledge about stock markets. He is passionate about using his expertise to protect his client’s future. He specializes in life and savings products and has a growing portfolio of corporate medical and general insurance policies. Nithin is a movie buff, enjoys still photography and pampering his daughter. 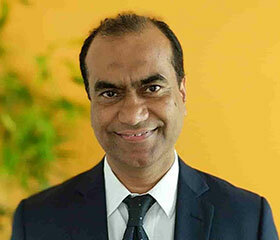 Abdul Basit has over 25 years of experience in the insurance industry. 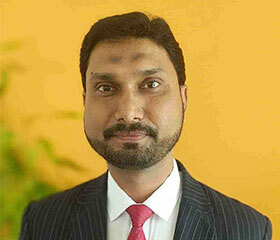 He started his career at Crescent Star Insurance Company in Pakistan and has been in UAE since 2009. He focuses on general insurance and specializes in Hull & Machinery (Marine), Indemnity, Jewellers’ Block & Other FGA Classes. His deep knowledge and ability to effectively assess client risk, negotiate with insurance companies to craft the right solutions has resulted in over 200 satisfied clients. He believes in continuous learning and keeps himself up to date on updated terms and products to provide world class advice and support to his clients and colleagues. 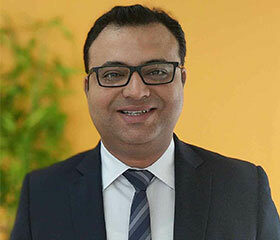 Jaydeep has been in the financial services industry for the past 13 years – eight years in India and five years in the U.A.E. His focus and expertise lie in estate planning and risk management for high net worth individuals. Jaydeep is also passionate about sharing his experience with young entrepreneurs and helping them attain success in their ventures. While playing with his son, Atiksh, it is difficult to ascertain who is the bigger child. I have been dealing with New Age since their beginning in 2008. They have been a great company in terms of giving right advice from the word go. As they say, test of pudding lies in eating. A few years ago, New Age helped to process my Critical Illness claim through Zurich in less than ten days. The speed and the quality of service enabled me to focus on myself and my family, as opposed to worrying about paying my bills. This peace of mind was invaluable. I wish them many more years of success and wholeheartedly recommend their services. We have been working with Mr. Ajit since 2006 and New Age since 2008 for our personal and corporate insurance requirements. We have always found them fast, responsible, reliable and transparent in all their dealings. New Age has a talented team of professionals who always exceed our expectations. We are happy we have found a friend and a trusted advisor. We have been dealing with New Age Insurance Brokers LLC since 2014. They have been of service to us for Medical insurance, Office insurance and company’s car insurance. They have been in good relationship with us, not only the management, but the entire team at New Age. Each one is dedicated to their own role may be administration, finance, motor insurance, or medical insurance, the entire team is very friendly, cooperative, prompt at their work, always helpful to answer any of our queries.We have a great and mutual beneficial relationship with New Age Insurance Brokers. I have known the M.D. of NAIB since 1993 and I have never been let down in any deal, irrespective of his position and always got best rate for proposal whether it is life insurance, property, car, marine, or any other insurance policy. I blindly trust his suggestion as I have back tested him over 25 years. I always feel I am in safe hands. My employees have been given standing instruction to give NAIB priority for giving business with some due diligence where we are not experts. What Millennials need to know about life insurance? Fill out the form to request a call or e-mail from one of our dedicated advisors. We thank you for visiting our website, and look forward to serving you.